Twins appear to share a special bond that most of us can scarcely imagine. To begin with, they typically spend about nine months in the womb together. Ultrasound, sonograms and other imaging technology show that twins try to and reach out and touch one another while they are in their mom’s belly. After birth, researchers have noticed twins try to interact with one another just a few hours after delivery. As a result, scientists believe that twins are hard wired to be exceptionally compatible with each other. The relationship between fraternal twins can seem unique, but the connection between identical twins can seem downright uncanny. Not only do identical twins share the same DNA, but they often dress alike, have similar tastes and interests — even when they are raised apart! Indeed, some of the traits twins exhibit border on the amazingly weird. For example, there is a phenomenon known as cryptophasia, which involves twins that invent their own shared language, which no one else can understand. Then, there is a mind-bending form of telecommunication, which conjoined twins can exhibit. Indeed, the more you learn about twins the more incredible they seem to be. Here are five really weird phenomena involving twins that you probably never knew about. Linguists informally refer to it as “twin talk” or “twin speak,” but apparently at least 40 percent of twins really do have their own language. This can be a form of idioglossia, which is a type of gibberish that no one else can understand. You can check out this most unusual form of communication for yourself, which shows two toddler twins gabbing away with their own lingo in this now famous viral video. Genuine mind reading has been hard to scientifically verify. However, researchers may have hit on a real-life form of mental telepathy, which involves a pair of conjoined twins named Krista and Tatiana Hogan. Unlike most twins, Krista and Tatiana are joined at the head so that their skulls merge. According to neuroscientists, twins exhibiting craniopagus are exceedingly rare and very few that are born survive. But these young girls are mobile and active enough that they can lead relatively normal lives. Amazingly, Krista is able to identify objects that only Tatiana sees and vice versa. For example, researchers can blindfold Krista while showing her sister, Tatiana, a furry teddy bear, which Krista can identify. 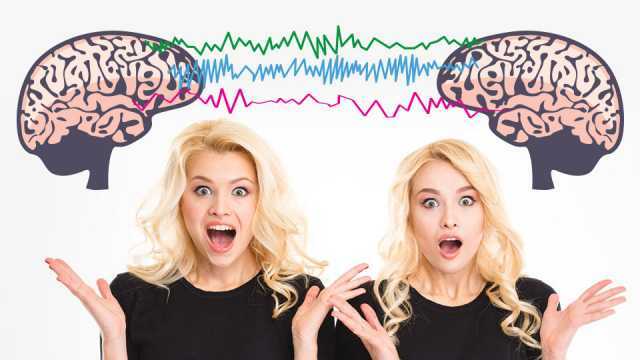 Neurologist Douglas Cochrane believes the telepathy the twins experience is explained by a structure he calls a thalamic bridge, which refers to connective neural tissue that links the thalamic region in each girl’s brain. Scientists believe the thalamus is the brain’s switchboard and is instrumental in processing sensory information, relaying it to other cortical regions, and being a key part of the neural loops that produce consciousness. You can see the amazing telepathy Krista and Tatiana appear to have by checking out this incredible video. Nature vs.nurture has been a perennial debate. Longitudinal studies involving twins separated at birth provide scientists an opportunity to study which is more important when it comes to personality development: genes or upbringing. Both men married a woman named Betty. Each received law enforcement training and served as part-time deputies. They both had dogs, which they named Toy. Each stood exactly 6-feet tall while weighing 180 pounds. They both had trouble with spelling and math. Each twin drove a Chevy. Dr. Thomas Bouchard, who extensively studied their case, found that their brain waves (which are normally quite distinct in most people) were virtually identical. Time and again, twin researchers are continually amazed by how often identical twins raised separately lead parallel lives. 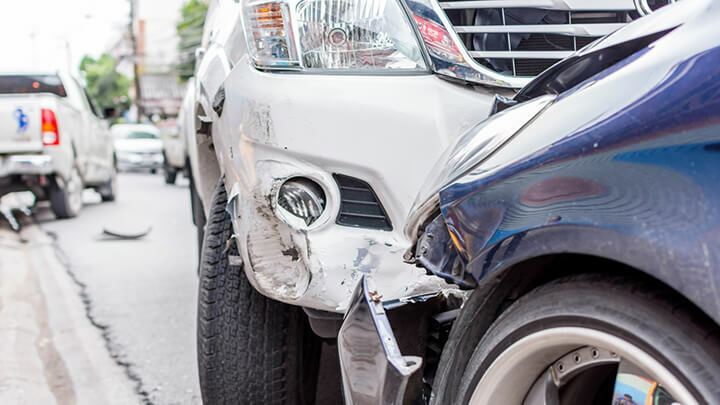 In one strange account, twin brothers were killed on the same road on the same day — in different accidents. In 2002, the BBC reported one of the strangest accounts of twin brothers who met their untimely endings under similar circumstances on the same day. Both were killed in completely separate incidents, but on the same road in close proximity just a few hours apart. This one is a little creepy too, but in 20 to 30 percent percent of multifetal pregnancies, one of the twins vanishes. This phenomenon was first noticed in 1945 and is referred to as fetal resorption. Medical experts suggest that “intense fetal competition for space, nutrition or other factors during early gestation” causes one twin to absorb the other. For example, in 2015, ABC News reported that a baby girl born in Hong Kong had a growth inside her, which appeared to be the remains of her absorbed sibling. Talk about double trouble. Hey Buddy!, I found this information for you: "Telecommunication Plus 4 Other Twin Phenomena (#4 Is Creepy)". Here is the website link: https://www.thealternativedaily.com/strange-phenomena-twins-share. Thank you.